Try to pinpoint one area of your clinical trial that, if improved, would positively impact the rest of the trial…All the way down to the resulting data. What would it be? While there are many crucial elements of a successful trial, many agree that a trial’s success depends heavily on patient engagement. The importance of patient centered studies cannot be understated: Engaged patients make for more successful studies and more accurate results. 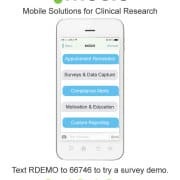 Text messaging software seamlessly integrates into clinical trials to aid in creating patient-centricity and increased engagement. It’s the perfect tool to use because SMS software requires no apps or smartphone, only a mobile device capable of SMS messaging. Decrease the odds of a missed appointment (or offer a way to quickly reschedule) with an automated text message to your patients prior to their site visits. These messages can be customized to your specifications…Send a text one week prior to the appointment as a general reminder, or 24 hours prior as a final reminder. Patients can respond to texts, confirming with a yes/no (Y/N) whether or not they will be attending the appointment. We even have clients who send text message reminders in advance of phone calls with their patients to ensure they’ll pick up the phone when it rings. Being that 23% of all phone calls go straight to voicemail, text messaging is a great way to automatically send a “head’s up” that a phone call is coming. Text reminders can be sent to let patients know when and how they should be taking their study specific medications. Patient engagement is increased by allowing your patients to respond with their own text to confirm or deny compliance. Increased adherence to protocol is a nice added bonus of this feature. When you utilize a single system to cover all of these functions, you can have a medication reminder app alongside a suite of other engagement and patient compliance solutions. It’s important to periodically check in with your patients, patient-centricity starts by collecting feedback from patients themselves about what will make the clinical trial process better. Sending text-based surveys gives you a glimpse into your patient’s firsthand experiences in your trial. Many of whom genuinely want to share what’s working well and what can be improved upon, so take note! Staff can also utilize survey results to help spot patients struggling with adherence and pinpoint those who might need extra support, in real-time. Survey results can be combined with trigger notifications to send out a specific SMS message when certain conditions are met. Clinical trials, especially those longer in nature, require dedication on your patient’s part…Recognize their hard work and further motivate them through an SMS message. If your patient feels supported and appreciated, they’ll be more likely to put forth their best effort to comply with research protocol and see the study through to completion. Gamification in tech, health, and especially wearables, is on the rise. It keeps us interested and motivated, and the same can be true for your trial patients. Texting is a great way to notify patients that they’ve reached a new stage of the trial (“leveling-up”), are being rewarded for their commitment, or just to let patients know what they need to do to reach the next stage or level. 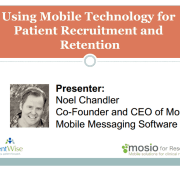 There are many ways to integrate text messaging with gamification techniques, so you can get creative without overcomplicating the process on the part of patients or study staff. 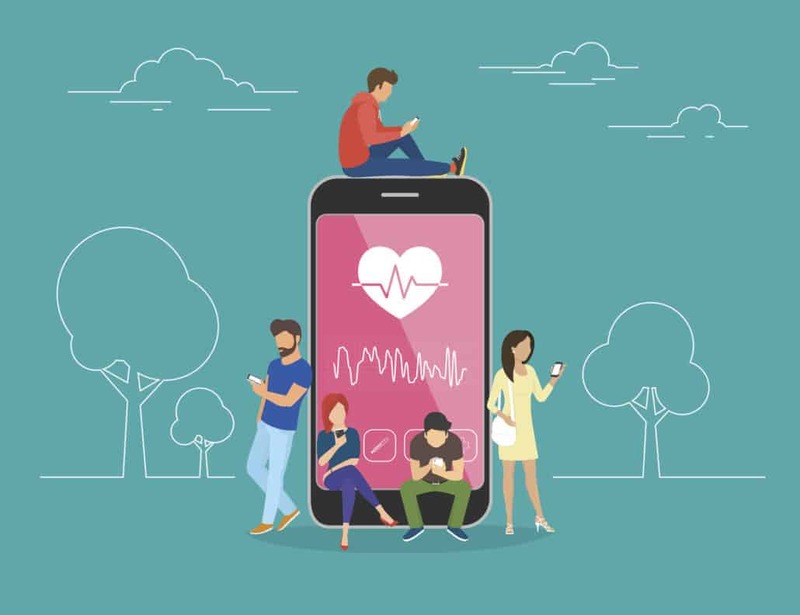 Whether tied in with gamification or just a method of increasing patient engagement, text messaging allows you to deliver incentives directly to your patient. Receiving a gift code or notification that a reward has been sent via SMS messaging is both efficient and exciting. The majority of people have their mobile device within arms reach nearly 24/7, so rewards and incentives are literally at your patient’s fingertips. Gift codes from Amazon or other vendors can be sent automatically after a desired action (site visit, survey completion, etc), or some systems can be integrated with pre-paid visa or “clincard” technologies for a seamless process. Program monthly or quarterly texts to be sent to patients appearing to come from your study coordinator. Study staff check-ins help keep patients accountable, increase their attention to protocol and engage patients in the process. Maximizing on patient engagement means increased compliance, retention and patient satisfaction…All of which leads to the most important reason we pursue clinical research: more accurate results for the future of healthcare. Text messaging software can be a great tool to incorporate if you’re serious about improving upon patient centered studies. Are you looking to improve participant engagement, increase retention, integrate text-based interventions, or collect data in your behavioral research study using text messaging? If so, contact us for a free consultation, or you can get quick access to our pricing guide here.